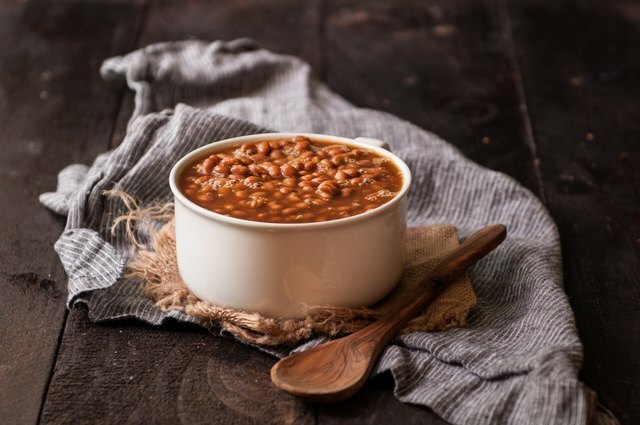 Have you tried using your slow cooker for making baked beans yet? If not, you're in for a real treat. This long, slow, and low approach will give you those creamy, dreamy beans without the cans. The bonus is that your house will smell delicious and tempting, both a benefit and a curse that comes with the long cooking time. But at least by the time you're done bringing them to slow-cooked-perfection, you will be more than ready to make an entree out of what was originally intended to be a side dish. No need to presoak the beans! 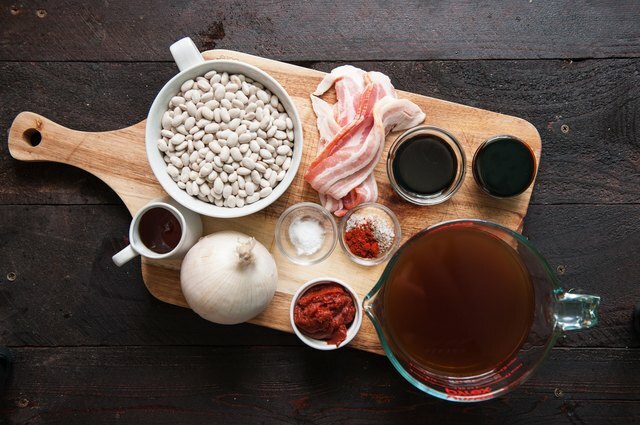 The baking soda will aid in the softening of the beans making presoaking unnecessary. 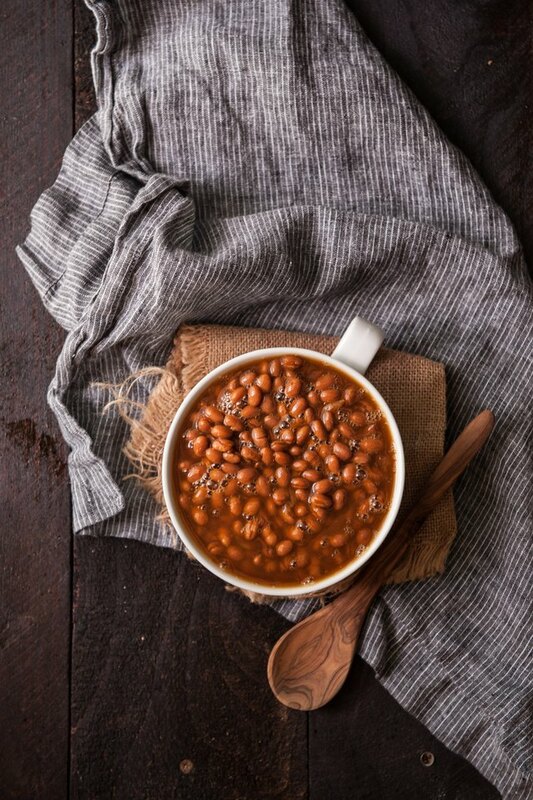 If you want to forgo the baking soda, rinse and soak your beans in the refrigerator overnight before continuing with the recipe. Chop the bacon and cook over medium heat until crispy. 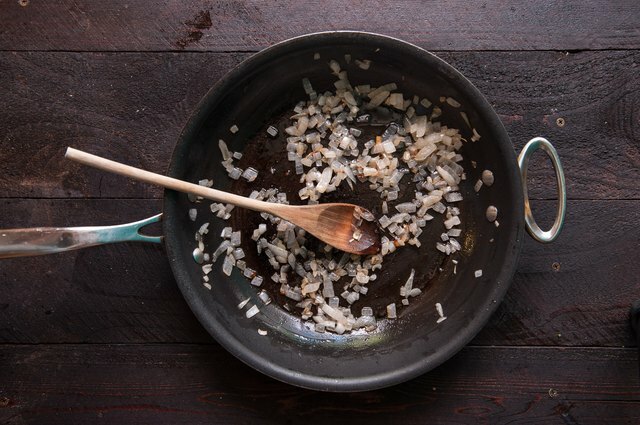 Remove with a slotted spoon, reserving the pan for the onions. 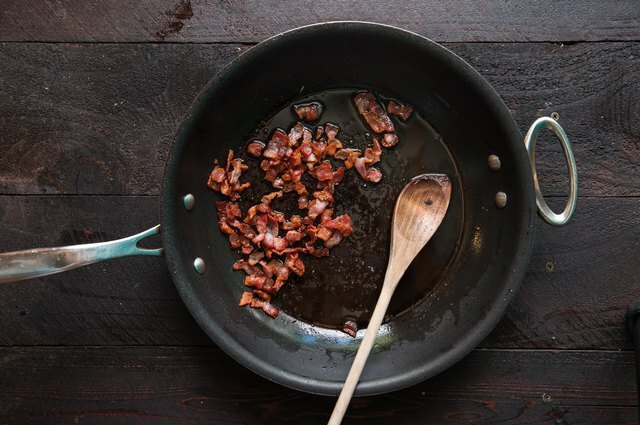 Start bacon off in a cold pan (rather than a preheated one) to render more fat! Also, make sure to keep the heat at medium in order to evenly cook and fully crisp the bacon, and avoid bacon that is partially burned with large pockets of uncooked fat. Add the onions to the bacon fat and cook over medium-high heat until the onions have softened and started to brown, about 8 minutes. 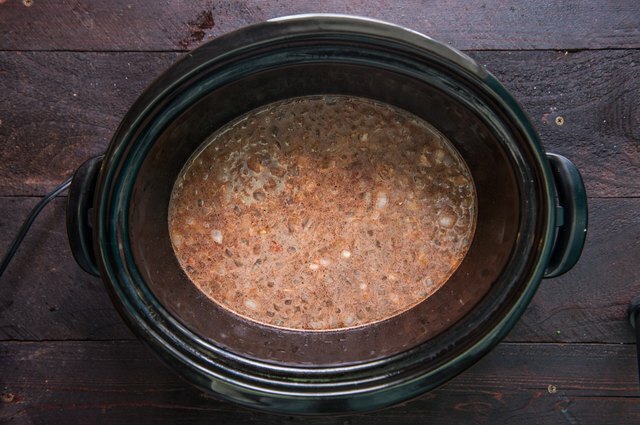 Add the bacon, onions, and remaining ingredients to a slow cooker. Cook on low heat for 9 hours or until the beans have soften. Stir occasionally, if possible. Serve warm. *Don't use blackstrap unless a recipe calls for it. Blackstrap is what remains after the third boiling. With almost no sweetness and a very bitter taste, it can not be substituted when a recipe just calls for molasses, unsulfured molasses or sulfured molasses.